An outsider goes to corrupt Washington, D.C. Can he drain the swamp? Mr. Smith Goes to Washington is a 1939 American political comedy-drama film, starring James Stewart and Jean Arthur, about a newly appointed United States Senator who fights against a corrupt political system. It was directed by Frank Capra and written by Sidney Buchman, based on Lewis R. Foster’s unpublished story. Mr. Smith Goes to Washington was controversial when it was released, but also successful at the box office, and made Stewart a major movie star. 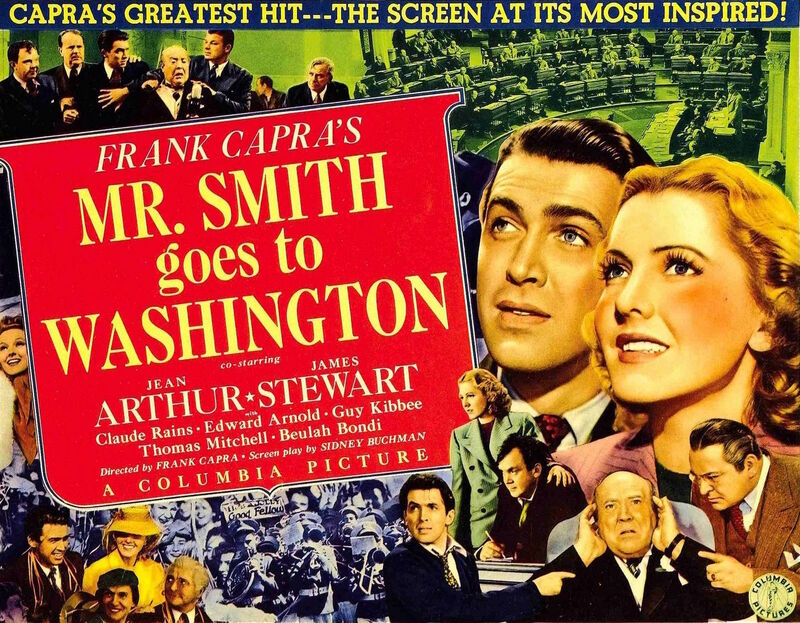 Mr. Smith Goes to Washington was nominated for 11 Academy Awards, winning for Best Original Story. Considered one of the greatest films of all time, in 1989, the Library of Congress added the movie to the United States National Film Registry, for being “culturally, historically, or aesthetically significant”.